The pHep® revolutionized the pH industry by providing non-technical personnel with a simple, inexpensive solution to accurate pH measurement. 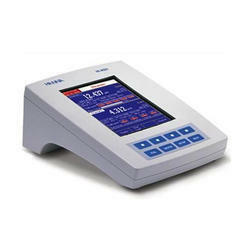 We are engaged in offering Hanna PH Meter. 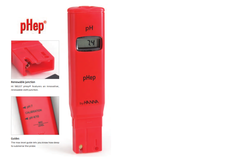 In order to meet excellent quality standards, we are supplying Hanna PH Meter. We are a top notch supplier of Hanna PH Meter. Range pH 0.0 to 14.0 pH Resolution pH 0.1 pH Accuracy pH ±0.1 pH Calibration manual. 1 point Battery Type / Life 3 x 1.5V / approx. 150 hours Environment 0 to 50°C (32 to 122°F); RH max 95% Dimensions 150 x 30 x 21 mm (5.9 x 1.2 x 0.8") Weight 70 g (2.5 oz. ).